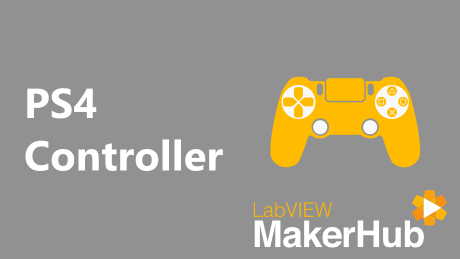 This tutorial describes how to get started with the MakerHub Interface for the PS4 Controller and covers software setup through running the first example application. Connect your controller via USB and make sure the drivers are installed correctly. 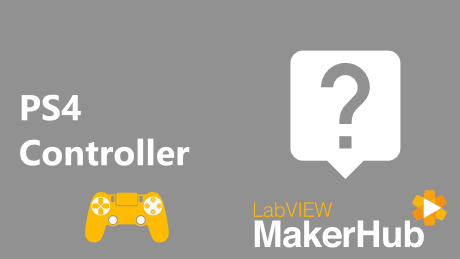 Open the PS4 Controller - Polling Read example from the LabVIEW Example Finder. Follow the instructions on the VI front panel. If you have any questions about getting started with the MakerHub Interface for PS4 Controller please search the MakerHub forums and create a new thread if you cannot find the answer to your question. Read all button and axis data from the PS4 Controller using polling or event based programming. 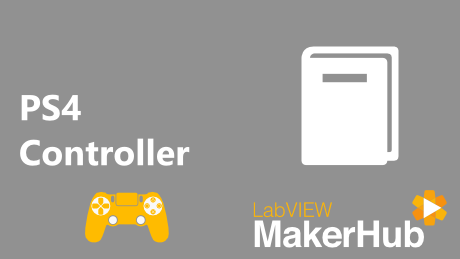 Learn how to use the PS4 Controller with LabVIEW. Find the answers to commonly asked questions about the PS4 Controller.